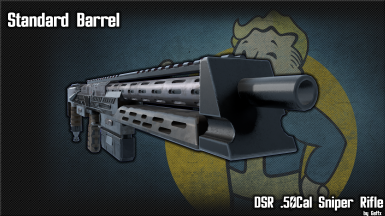 Wanna kill people at far ranges with efficiency and look cool while doing it ? Or even at close range and 360 the f out of people like you're an edgy teenager ? Well your search is over, because we have exactly what you need in stock ! 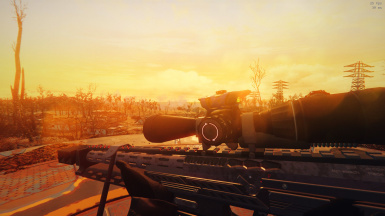 ﻿It was a high powered sniper rifle that made its entry in the Commonwealth moments before the bombs dropped, thus losing it to the time that has passed. 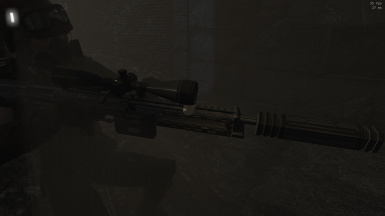 ﻿This mod aims to bring yet another weapon mod, this time in the form of a modern-day sniper rifle. 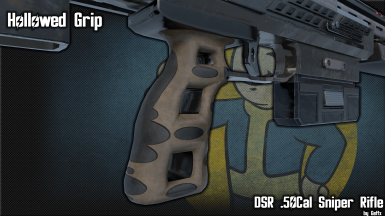 Everything is scratch-made ( for now). 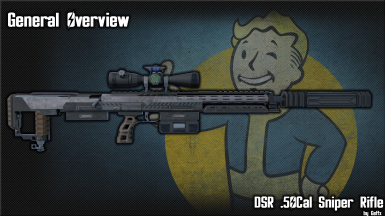 ﻿WARNING : To those that need their immersion, know that this rifle does not have custom animations yet. 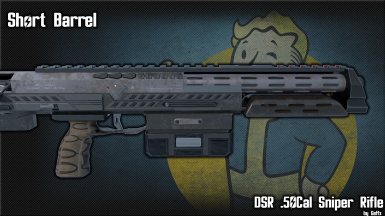 WARNING : To those that need their lore, know that this rifle is a gift from God for now, only granted to those that know the sacred texts of the console. ﻿﻿﻿﻿Now available through levelled lists in the world too, in several factions and vendors, given the player has reached at least lvl 25. ﻿﻿﻿- Custom animations ( if someone's able to help me on that, i just can't do them myself) ? 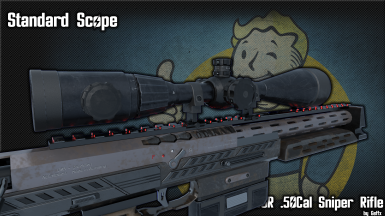 ﻿﻿- More scopes ( still need to ask permissions to use some scopes people out here already made because i'm lazy and i've not done it yet ) ? 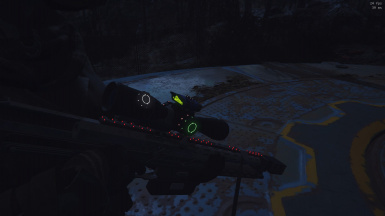 ﻿﻿- More barrel ( to switch to energy rifle) ? ﻿﻿- More muzzles ( to go with energy barrel) ? 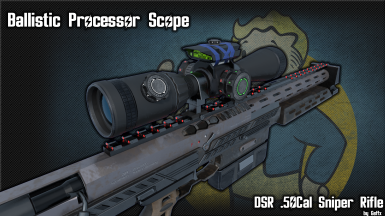 ﻿﻿- More skins ( camos, factions, etc...) ? 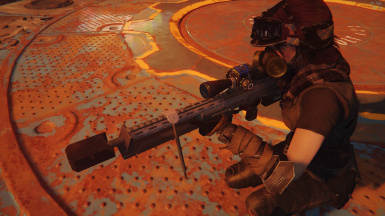 ﻿﻿- A more lore-friendly approach as to how to obtain the rifle ? ( (midly interesting) quest to get crafting rights / levelled lists) ? 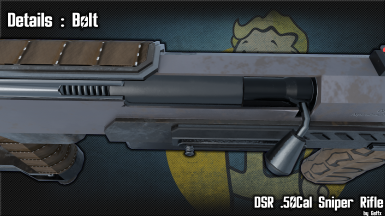 ﻿Basically more interesting stuff to complete this mod. ﻿I recommend installing with NMM, although manual installation is possible by placing the folders into \Data along with the .esp. ﻿Please ensure you have made the correct .INI edits. 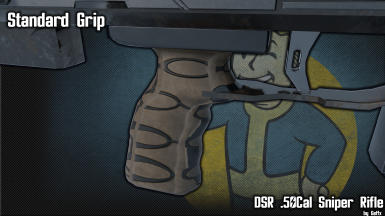 ﻿WHEN UPDATING THE MOD, PLEASE REMOVE IT FROM YOUR MODS ENTIRELY BEFORE THE UPDATE. 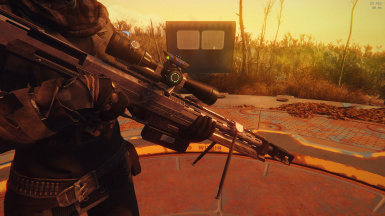 ( You'll need to delete every folder named " Geffx "
Now available through levelled lists in the world too, in several factions and vendors, given the player has reached at least lvl 25. 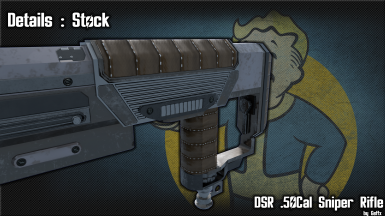 ﻿Many thanks to ajhakra ﻿who let me use his CS5 mod﻿ as a reference for the Creation Kit part ! 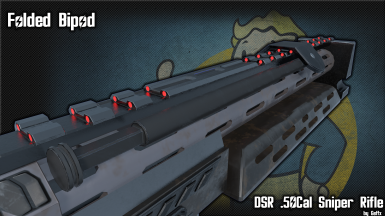 ﻿﻿Many thanks to DankRafft for the Leveled List Injector Script, saved me precious time ! 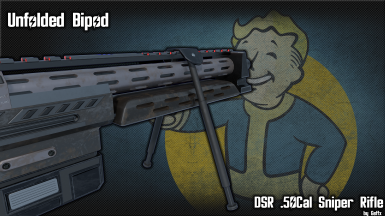 ﻿Made possible thanks to Blender, Substance Painter, Photoshop, Nifskope, Creation Kit, Fallout 4. And CoD Black Ops 2 for the original design. ﻿﻿Thanks to you people who make such a great community. 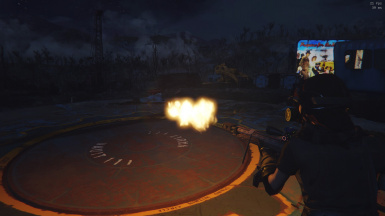 As usual, remember to backup your saves before installing this mod. I take no responsibility for any broken saves. If you find any bugs, please include as much detail as you possibly can in your bug report. 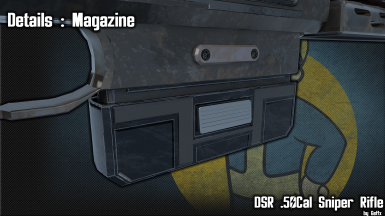 Any bug reports in the comments will be ignored, there isn't a bug report tab for no reason ! Many thanks to you﻿ for the hassle of testing out !